This article will attempt to explain peace bonds in criminal cases. A peace bond is a court order that requires a person to obey certain conditions for a specified period of time. A typical example of a peace bond will require that a person abstain from communicating with a specific person for a period of 12 months. In most cases, the charges against an accused person will be withdrawn once the person enters into a peace bond. The authority for a person to enter into a peace bond exists through Section 810 of the Criminal Code and the common law. Section 810 allows the court to order a person to enter a court order if the court believes there are reasonable grounds to believe that another person will cause personal injury to another person, her spouse or common law partner or her child or will damage her property. If proceeding by way of a Section 810 bond, the court can require the person enter the agreement for a period of time that does not exceed 12 months. Under the common law, there is no set period of time. If a person refuses to enter the peace bond under Section 810, then the court can order the person to jail for period of time that does not exceed 12 months. A person who enters a peace bond under Section 810 will be subject to a mandatory term to keep the peace and be of good behaviour. Additional prohibitions that can be imposed include: to not possess any firearm, crossbow, prohibited weapon, restricted weapon, prohibited device, ammunition, prohibited ammunition or explosive substance; to not be within a specified distance of another person and to not have any communication with the person. Generally speaking, the charge against a person will be withdrawn once he enters the peace bond. As tempting as this may sound, the decision to enter a peace bond should only be made after speaking with a lawyer. There are consequences that can attach to signing the bond. They could affect family court proceedings or civil proceedings. Furthermore, a person’s employment could be impacted because a record of a person entering the peace bond could show up on police record checks. 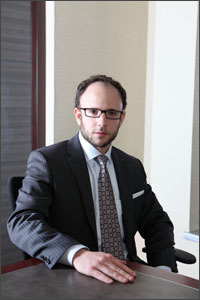 If you have been charged with a criminal offence, contact Morrie Luft for legal advice.